In some of my recruitment programs, I talk about dating. Sorority recruitment is kind of like dating, but instead of finding a significant other, we are in search of sisters. 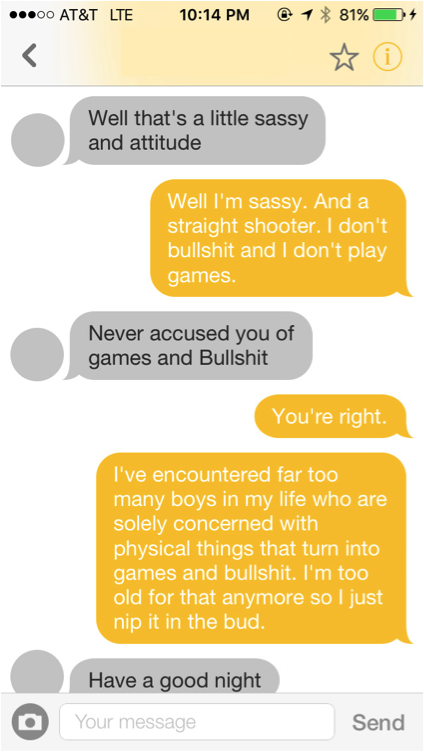 My experiences with online dating and “swiping” apps are admittedly pretty funny and embarrassing. I, like many people, have NO idea what I’m doing. Are my pictures flattering? Do they show me doing fun and cool stuff that makes me look super interesting? Does my profile read well? Do I come across as charming as I am in person in the limited number of characters I have to describe myself? Online dating is exhausting. But, before the days of “swiping” apps, there was just plain old dating. This is where you thought someone was cute, fun, or interesting, and you had to muster up the confidence to strike up a conversation with them to ask them to join you for a meal, a movie, a cup of coffee, or a rousing game of chess. If dating wasn’t already fairly superficial, these apps have only intensified this for those of us who choose to utilize them. “There’s a lot more to me than what I look like,” said every woman. Ever. Remember when I said sorority recruitment is a lot like dating, but for our sisters? As women, we loathe these moments when guys view us so superficially. But, we are no better when we focus on those same superficial aspects of our PNMs. Recruitment allows us to engage in conversation, to really get to know our future lifelong sisters. Are we always treating recruitment with that intentionality? What if recruitment was one of these “swipe” apps? How often would we make decisions about PNMs that we swipe left or right without ever reading her profile? Would we actually engage her in a conversation? Once we meet her at a recruitment event, are we choosing to have a meaningful conversation with her and truly getting to know her? You get to know a whole lot more about a person by having an in-person conversation than you ever could from a profile, resume, or messages on an app. 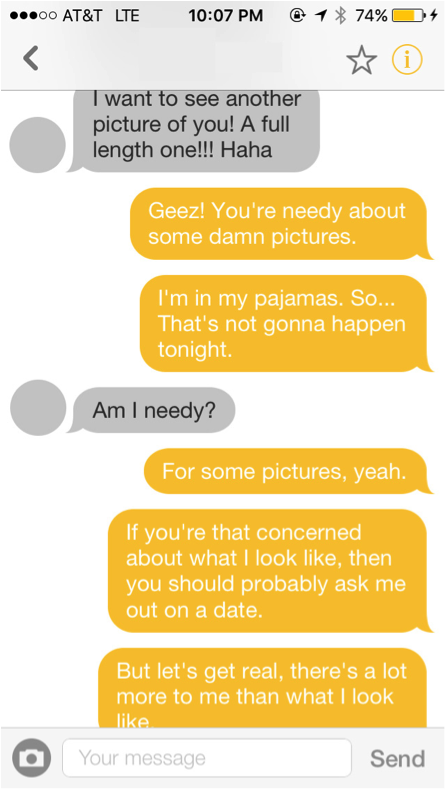 Sometimes recruitment can be as superficial as these “swipe” apps. As sorority women and through recruitment, we have the power to show a woman what it’s like to value her on the inside rather than putting focus and attention on how cute she is or how great her outfit is. I dream of a day when sorority recruitment focuses on women finding other empowering women to support them throughout the rollercoaster journey we like to call college. Our sororities can empower women who will celebrate our highs with us, support us through our lows, and be there for every twist and turn in between.